Water contract awarded to curb unaccounted-for-water losses in Bangalore, the high-tech city to 16 percent from 42 percent over the next five to eight years and pipeline leaks in Pune. India is spending 589 billion rupees ($9.6 billion) to improve area water supplies and treatment systems, according to the government. Suez Environnement (SEV), Europe’s second-biggest water company, won contracts to improve supplies and reduce leak losses in southern and western India. Suez and Indian partner SPML Infra Ltd. (SPML) will help cut water leaks across a 26.5 square kilometer (10.2 square mile) area of Bangalore, the utility said today in an e-mail. It’s planning infrastructure works to curb unaccounted-for-water losses in the high-tech city to 16 percent from 42 percent over the next five to eight years, the French company said. The utility was also awarded a contract in Pimpri-Chinchwad near Pune in western India to detect and repair leaks in area water-distribution systems. The contracts are worth 20 million euros ($27.5 million), Suez said. Apart from the environmental damage, the drains are giving NCR residents another reason to complain. Gases emitted by the drains corrode pipes in air-conditioners, refrigerators and television, making gas leaks a frequent problem. Those who live near the drains are forced to spend thousands of rupees every year for refilling the gas. Whether you are in South Delhi’s posh Defence Colony, in a DDA colony abutting the Barapullah drain, one of the many colonies lining the Najafgarh drain or in Noida’s buzzing Sector 18, you can’t avoid the foul smell emanating from open drains carrying sewage. The uncovered drains not only stink, they also endanger public health and the environment. And with roughly 50 per cent of all drains being uncovered, the problem is huge. Uday Kumar, an electrical repairman in Noida, said the average life-span for a gas refill is three months. The intensity of the gases emitted by the drains makes a brand new copper pipe show signs of corrosion within a month. But he is not complaining, for it gets him work. On the other hand, Meenakshi Oberoi, a resident of Noida Sector 25, is fed up with her recurring expenditure on air-conditioner upkeep. The large open drain behind her house means the ACs in her house need gas refills every other year. But she has made a deft move and “switched to non-branded ones because they work a little better in Noida”. With increasing competition, residents have discovered that white-goods manufacturers had, in order to cut prices, compromised on quality too. 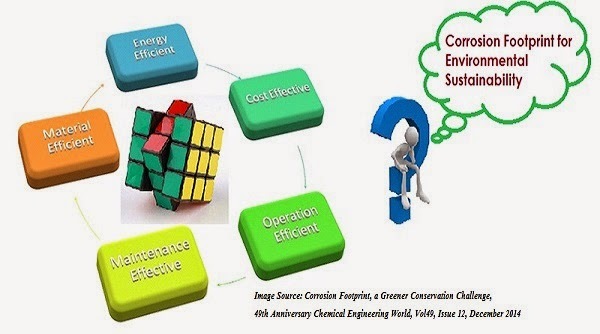 “In the last 10 years, many manufacturers started using thinner cooling pipes. This has resulted in their faster corrosion. Corrosion will occur, but the period between breakdowns/leakages can be increased by using thicker pipes in the ACs,” explained Mr. Dhawan. As if the gas leaks weren’t bad enough, residents living in the vicinity of open drains are also having trouble in getting annual maintenance contracts (AMCs) for them. Dealing with the nallahs of the National Capital Region, as even AC manufacturers have realised, is a losing proposition. The bursts on the 1,200-mm transmission main have been a regular feature, with the 15-year-old pipeline being weak and corroded at several points. Work on a Rs.50 crore-project to replace the pipeline, from Aruvikkara to Peroorkada with mild steel pipes, is dragging on. Officials said it would take at least another month to complete the project. The pre-stressed concrete (PSC) transmission mainline carrying water from Aruvikkara to the Observatory Hills tank, known for numerous bursts in the recent past, lived up to its notorious record with a major burst on Tuesday. 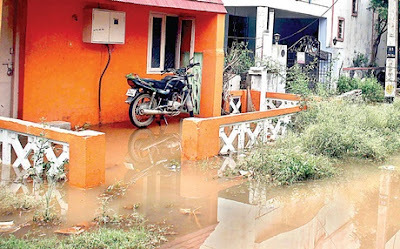 The burst, noticed around 4 p.m. near the Karakulam bridge on the Thiruvananthapuram-Shencottah road, is likely to disrupt water supply at several places in the heart of the city and towards the western parts till Wednesday evening. Kerala Water Authority (KWA) officials said the burst occurred in a portion of the 1,200-mm mainline that narrowed down to 1,000 mm at the particular point. Excavation work was on to remove the mud over the pipeline and ascertain how big the leak or burst was. This would take several hours. A mild steel pipe piece would have to be lowered into the trench and welded on to the existing pipe at both ends to replace the affected portion. Repairs would take up to 24 hours. Normal water supply to the affected areas was likely to be restored only towards Wednesday evening, they said. New truck design starts with zinc-coated (galvanized) steel for the roof and all body panels except the hood, which is made of an aluminum alloy that reduces weight and provides corrosion resistance. DETROIT – More than half of light-duty pick-up trucks on the road are now 11 years or older. To help build on the Chevrolet Silverado’s reputation as the most dependable, longest lasting full-size pickup, engineers designed the 2014 Silverado to be the most corrosion resistant Chevrolet truck ever. The 2014 Silverado starts with zinc-coated (galvanized) steel for the roof and all body panels except the hood, which is made of an aluminum alloy that reduces weight and provides corrosion resistance. At every step of the design and manufacture of the new Silverado, materials and production processes were selected to help minimize deterioration over time. ¦All new body structures designed to minimize the potential for corrosion. ¦Anti-chip protection on the lower body side for extra protection from stones or gravel. COIMBATORE: Water supply from Pillur I project was temporarily affected after a leak was detected in the main supply line near Karattumedu near Saravanampatti. The TWAD board officials were informed and they rushed to the spot and carried out maintenance work. Water supply was restored by Thursday evening. "We have carried out maintenance work and the leak has been closed. The supply was completely restored by 5.30 pm," said Iqbal, executive engineer, Tamil Nadu Water Supply and Drainage Board (TWAD). Residents found water gushing out of the main supply line which is connected to the master reservoir at Ganapathy from where water is supplied to corporation wards. "The TWAD maintenance team was notified and they started maintenance work at the identified spot. Water supply has been completely restored in city limits," said a senior corporation official. The supply to eastern parts of the city is dependant on Pillur water and was temporarily affected after the valve was closed to carry out maintenance on the damaged pipeline. Residents of Iyyappanthangal on the outskirts of Chennai woke up to knee-deep water outside their houses on Saturday morning after the valve on a major pipeline carrying drinking water to the city from the Chembarambakkam lake allegedly gave way. The flooding resulted in a complete blackout in the area as the Electricity Board disconnected power supply to ensure safety. Power was restored after over eight hours when a considerable amount of water was pumped out by the evening. Residents said within a matter of an hour, the streets in the colony were filled with at least 3 feet of water. The water made its way into several households, forcing the residents to stay indoors till evening when three motor pumps drained out a fair bit of the stagnated water. 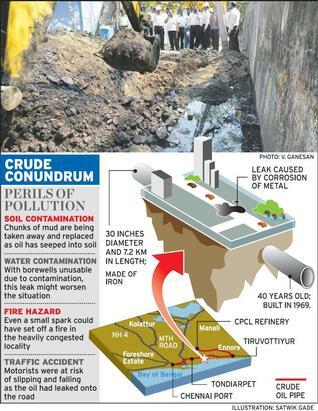 A senior official at the Chennai Metro Water told Express there was no “burst” as claimed by the residents and it was only a leak in a major pipeline as a valve gave way. The official said almost immediately after the leak was reported, the supply at Chembarambakkam pumping station was stopped. “What came on to the streets was water already in the pipeline that ran several kilometres. The leak has now been plugged,” the official added. Though Kerala Water Authority (KWA) has claimed that the new pipeline from SN Junction to Puthiyakavu was laid to resolve the water scarcity in Tripunithura, it proves otherwise in some areas. The residents at Thekkumbhagam said they have been facing acute shortage of potable water for the past two months. While KWA authorities blame the leakage at spots where the pipes interconnect, the technical committee members of Tripunithura Rajanagari Union of Residents Association (TRURA) say the KWA has not ensured perfection in pipe-laying work. 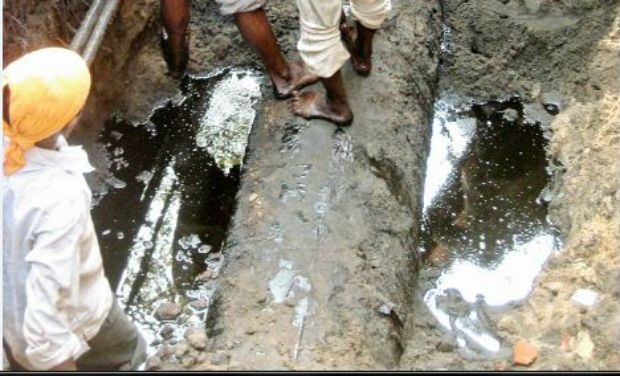 “The KWA has not monitored the pipe-laying work and they allowed the contractor to conduct the interconnections by himself. As a result, there are leakages at some spots and there is a chance that it might get worse,” they said. Ford Motor Co said it was recalling about 370,000 vehicles in North America due to possible corrosion of the steering shaft that could cause a loss of steering. The recall, affecting the 2005-2011 model years of the Ford Crown Victoria, Mercury Grand Marquis and Lincoln Town Car vehicles, will take place in high-corrosion US states and Canadian provinces, Ford said in a statement. About 355,000 of the recalled cars are located in the US and some 15,000 in Canada. The vehicles are affected by de-icing chemicals used on roads during winter months. Ford said it would replace the lower intermediate steering shaft and, if necessary, replace the upper intermediate steering shaft. The corrosion problem “may potentially result in loss of steering,” the US automaker said. 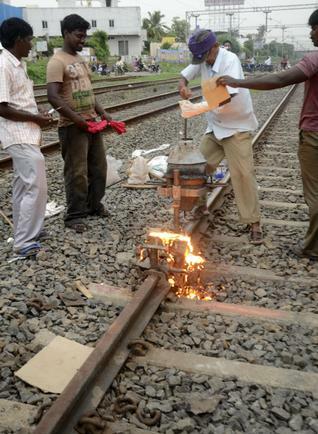 “We are not aware of any accidents or injuries attributed to this condition,” it said. Ford said any customers who have concerns regarding their vehicles’ steering would also be able to have their vehicles inspected and repaired if necessary. The pipelines that supply water to various institutions on the campus are around 40 years old and mostly rusted. They leak at various places, giving rise to the possibility of dirt entering them through the cracks. On Wednesday, 30 people, including B.Sc. Nursing students of the College of Nursing on the Government Medical College Hospital campus here and some staff members, were admitted to the hospital owing to food poisoning. The hostel and the mess were closed down for two weeks after the incident. Two days later, 15 persons, some of them M.Sc. Nursing students and the others members of the staff, took ill after having food from the staff mess and the Indian Coffee House. The reasons for the recurring cases of food poisoning reported from the mess facilities on the college campus are unclear. Food Safety Officer Anil Kumar told The Hindu that water supplied from a common tank to all the hostels and hospitals in the region could be the source of infection. A team of the Food Safety Authority, which included Mr. Anil Kumar, had visited the campus and collected samples of food and water. These had been sent to the Regional Analytical Laboratory for investigation, and the results were expected on Monday. The water supply system is also under the scanner. The pipelines that supply water to various institutions on the campus are around 40 years old and mostly rusted. They leak at various places, giving rise to the possibility of dirt entering them through the cracks. The drains near the hostels are clogged with garbage and dirty water, and pose a threat to the health of the students. The authorities are turning a blind eye to the students’ safety, they allege. Pipework problems delay £150m critical care hospital unit in Belfast, UK. Corrosion has been found in the building's new heating system. The opening of the the new £150m critical care unit at the Royal Victoria Hospital in Belfast is to be delayed further because of a problem with the pipework. Corrosion has been found in the building's new heating system. It means a major repair job has to be completed before it can open to patients.The delay will be longer than first thought, as workers are employed trying to fix the plumbing problem. It is understood the damage to the pipes was detected in the hot water heating system during final checks.The main emergency department for Belfast, and intensive care for patients across Northern Ireland, will fill the first six floors. The top three floors will eventually house maternity services. The new 12-storey building was due to be handed over to the Belfast Health Trust in November 2012, but that deadline was missed.The Department of Health has confirmed the trust will not take control of the building until 2014 at the earliest. "Significant delays in the completion of this project have been due to problems with corrosion in the closed water systems identified in the commissioning process," it said. "Handover of the completed fully commissioned building is now expected in 2014." Once the trust does take ownership of the new state-of-the-art building, it is thought it will be another three months before it is ready to admit patients. UNISON health trade union spokesman Ray Rafferty, who is based at the Royal, said his main concern was "that the building is going to be delayed by 12 to 14 months". "That means services are delayed, and patients are going to suffer because of these delays," he added.